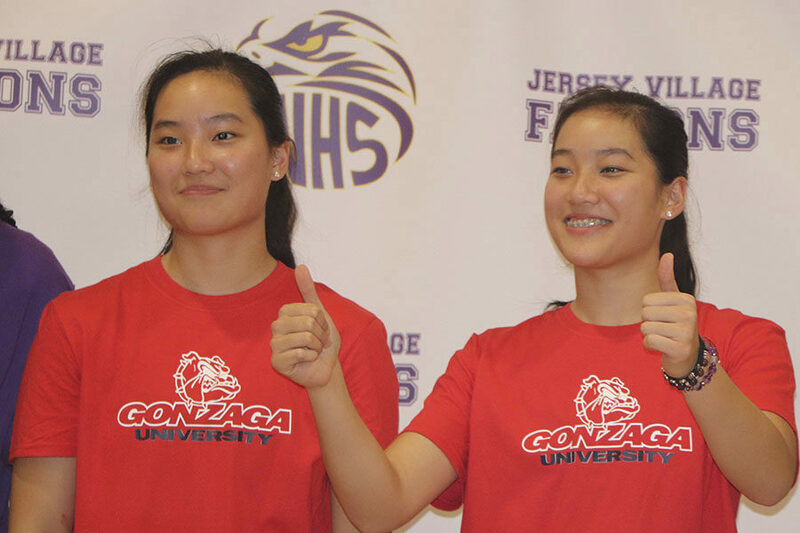 Kayleigh Truong and Kaylynne Truong, signed with the University of Gonzaga to play basketball. Both were instrumental in the team's playoff season last year. Six Falcon senior athletes received the opportunity to accept a college scholarship on Signing Day. 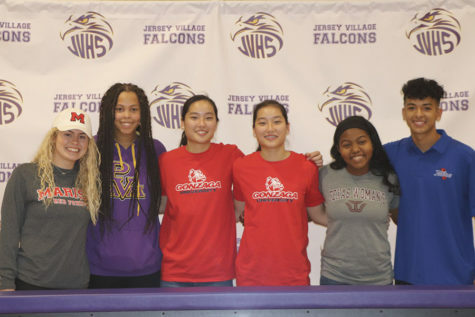 In the main gym Katie Gill (Marist College), Alexis Marion (Prairie View A&M), Kayleigh Truong (University of Gonzaga), Kaylynne Truong (University of Gonzaga), Abriana Whitfield (Texas Women’s University) and Jonathan Cervantes (Tulsa University) all signed their National Letter of Intent. 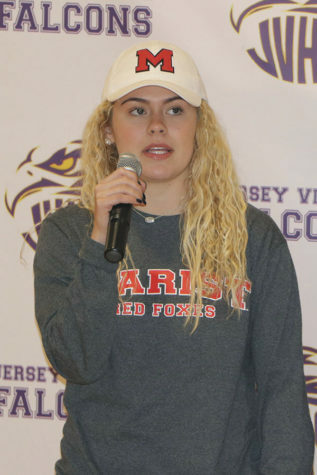 Gill signed to play in Marist’s water polo program. Katie Gill signed with Marist College to compete in water polo. 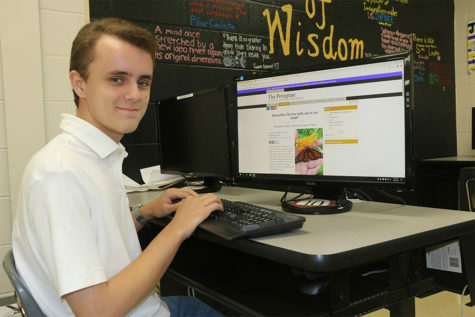 “I was super stoked about the college wanting me to be a part of their program. Marist is a powerful East Coast D1 water polo team. My future coach has a goal in mind and I agreed with his idea from the very start,” Gill said. College atmosphere was very important to Gill. 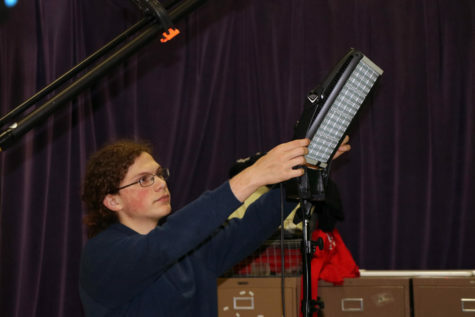 “Everyone at Marist was super welcoming and the school provided a home while away from my home atmosphere, which was something important to me while deciding on a college,” Gill said. 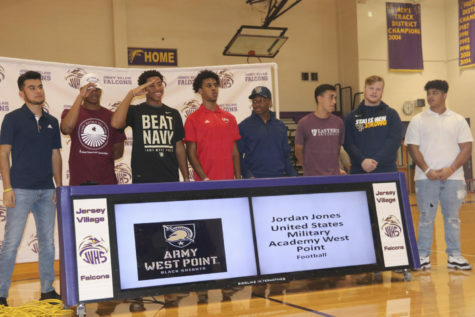 Once a student has signed the National Letter of Intent recruiting is over for them and no other colleges can recruit them. 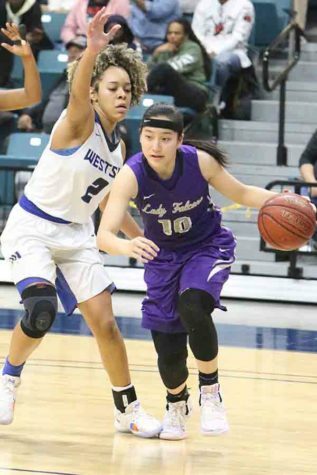 Twins Kaylynne and Kayleigh Truong have been signed to join Gonzaga’s basketball program. “The school just felt right. It has a nice small town feels on campus and the students/people there show a lot of school spirit especially when it comes to basketball. 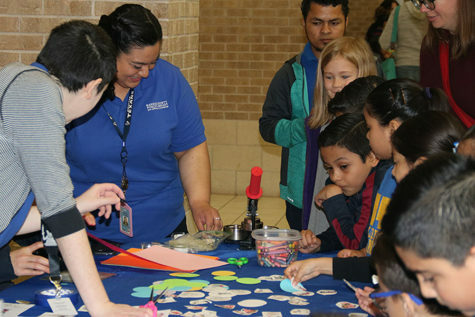 They are also a Catholic based school, and I want to be able to grow in faith,” Kayleigh said. 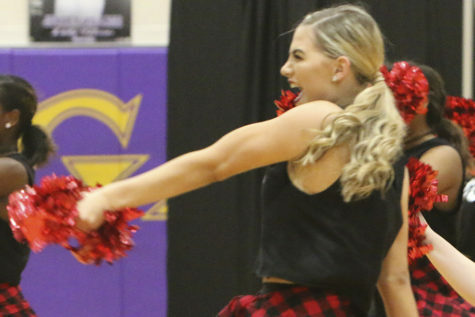 “One of Gonzaga’s mottos is “Gonzaga has many great traditions but one of our favorites is cheering on our men and women’s basketball teams throughout the season. Join us as we celebrate the Zags success on and off the court,” she added. Kaylynne Truong also expresses excitement and nervousness as she awaits a new chapter in her life. “What motivated me to say yes to Gonzaga was that I felt like I was going to be able to grow closer to God and it was a great fit. Gonzaga had such a friendly atmosphere on campus. 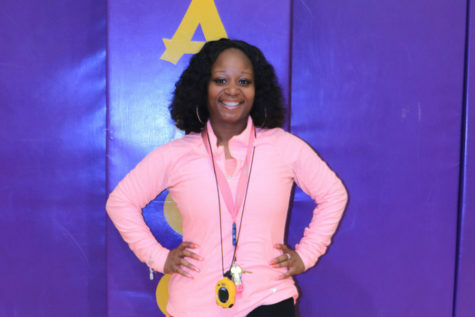 I’m really looking forward to meeting new people and making new friends,” Kaylynne said. She also adds that she’s ready to experience the campus life at a place she knows will give her the chance to excel. “The Pioneers will also add a quality player on the field in center fielder Abriana Whitfield. 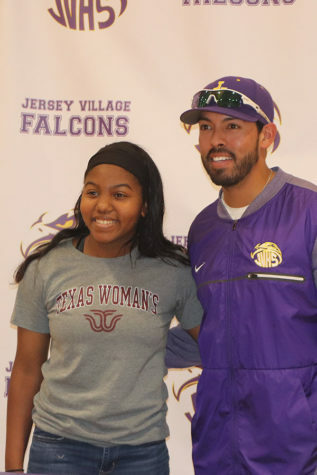 Possessing great speed, Whitfield has been a key contributor for the Jersey Village Falcons,” stated on the Texas Women’s University website. Another senior athlete, Abriana Whitfield signed off to play softball. “Texas Women’s University’s softball program really drew me into saying yes. 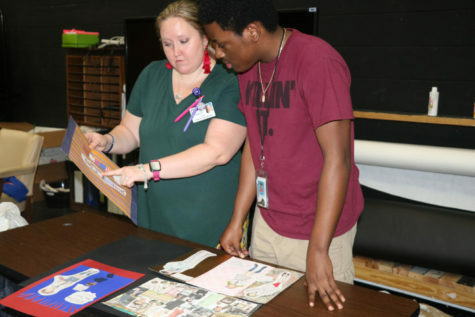 Being on the campus and the area excited me most because I enjoy being in Denton,” Whitfield said. 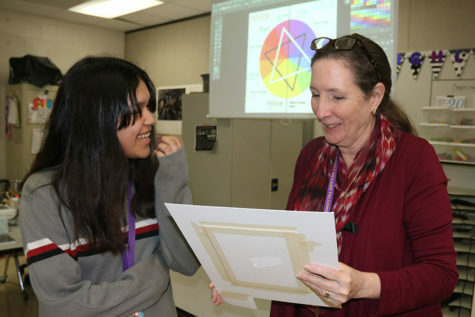 “I was also excited especially with the fact that we had been in communication for the longest amount of time,” she added. Texas Women’s University is also eager about having Whitfield join their campus. “The Pioneers will also add a quality player, Abriana Whitfield, on the field in center fielder. Possessing great speed, Whitfield has been a key contributor for the Jersey Village Falcons,” stated the Texas Women’s University website. 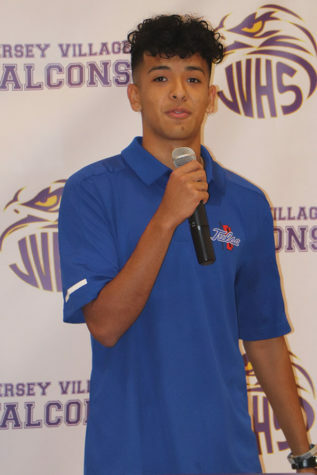 Soccer player Jonathan Cervantes signed off to Tulsa University in Oklahoma. “I’m looking forward to being in a new state and meeting new people. 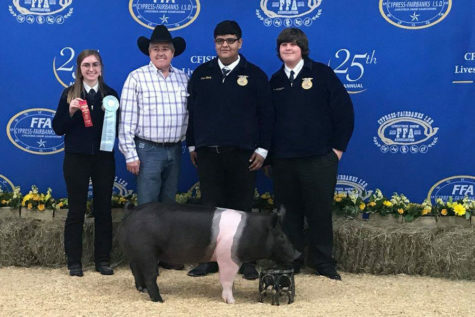 I feel like it would get me out of my comfort zone since I’ve always been with my family,” Cervantes said. Jonathan is fired up to play on Tulsa’s new specially designed soccer field next year. All these students have agreed and committed to attending at least one full year of college on their campus of choice and everyone is extremely eager to start next year on a campus that they anticipate loving.